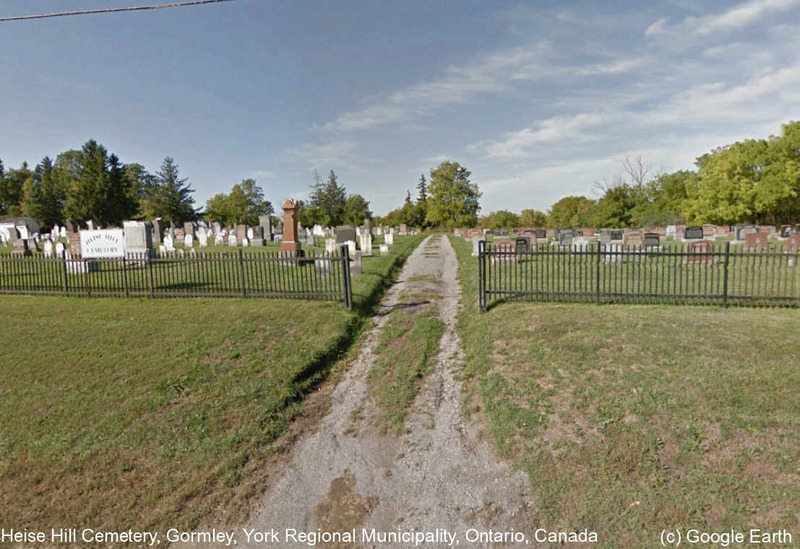 The cemetery lies on the west side of Woodbine Avenue north of 19th Avenue and south of Stouffville Road in the town of Whitchurch-Stouffville. The cemetery, which is still active, is maintained and administered by the Heise hill Cemetery Board. Christian Heise gave the land for a cemetery in 1815, but burials from the Heise Family started in 1811 on the land.